The Literary Freedom Project is a 501c3 tax-exempt nonprofit arts organization that seeks to restore the importance of reading books as an essential tool for creating intelligent, productive, and engaged young people. Towards this goal, LFP publishes Mosaic Literary Magazine; develops literature-based lesson plans; and hosts the Mosaic Literary Conference, an annual literature-education event. We invite educators, community organizers, and parents to take part in our programs. The Bronx Book Fair is dedicated to engaging and growing the community of poets and writers in the Bronx and to connecting those literary artists to readers and book lovers of all ages. BBF engages the community with a variety of programs that broaden access to Bronx literary artists, increase library usage, and encourage a love of books and reading. Mosaic supplements its editorial content with lesson plans that are developed based on the content of Mosaic. 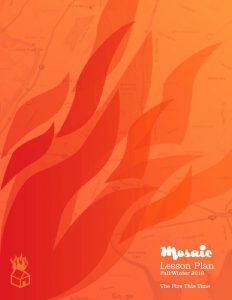 These lesson plans, developed for secondary school educators, demonstrate how Mosaic’s content can serve as a connective tool to explore educational subjects such as history and social studies while also serving to increase the importance of literature in the classroom. Click here for additional information. Launched in 1998, Mosaic is a website and tri-annual print magazine exploring the literary arts by writers of African descent. Each issue contains a unique blend of profiles, essays, and book reviews. With professional instruction from a teaching-artist the One Book One Bronx will engage in a borough-wide literary “call and response” by reading and discussing a specific reading selection. An emphasis will be placed on families and communities reading together and reading comprehension. via Literary Freedom Project | books culture education. This entry was posted in Blog and tagged african american history, african-american literary magazine, black american history, BRONX LITERARY FESTIVAL, hes Mosaic Literary Magazine, Lesson Plans, Literary Freedom Project, mosaic, Mosaic Literary Conference, mosaic magazine, nonprofit, We Are Family Book Club. Bookmark the permalink.